we can help you design your ideal guardrail. Following are a few examples. contemporary steel guardrails feature horizontal railing design capped with Maple wood rail. guardrail featuring infinity wave and alternating single and double element balusters~Powder coat finish. with beautiful Tuscan welded balustrade~Powder coat finish. 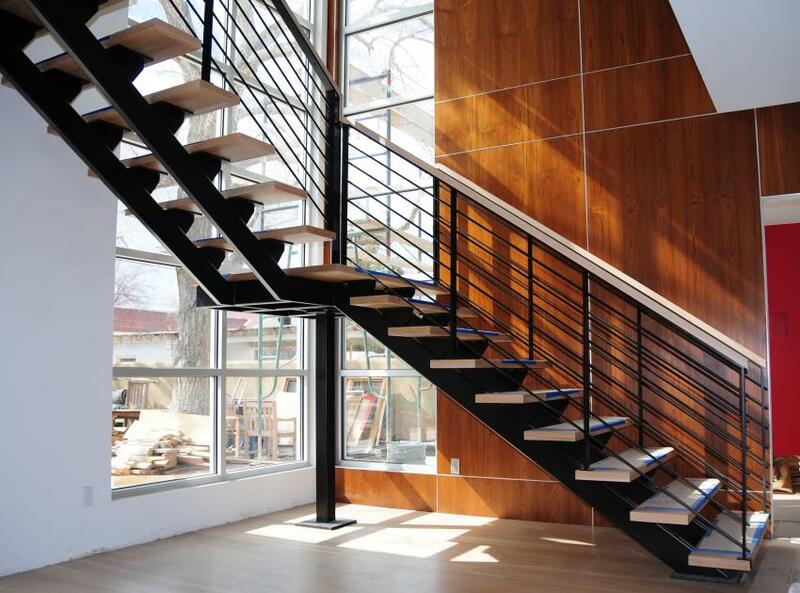 with elegant welded steel guardrails with turnouts at stair entry. This guardrail features decorative scroll elements with iron posts capped with wood handrail. Stairway has full wood treads and risers with shoe board at second level guardrails. with double element baluster infill and a combination of metal and wood posts. with basket accents and hammered steel posts~Powder coat finish. capped with wood handrail, shoe boards and fascia with decorative wood moulding. accented with wood box style newels and wood shoe board. series panel with hammered single and double element baluster infill~Powder coated.